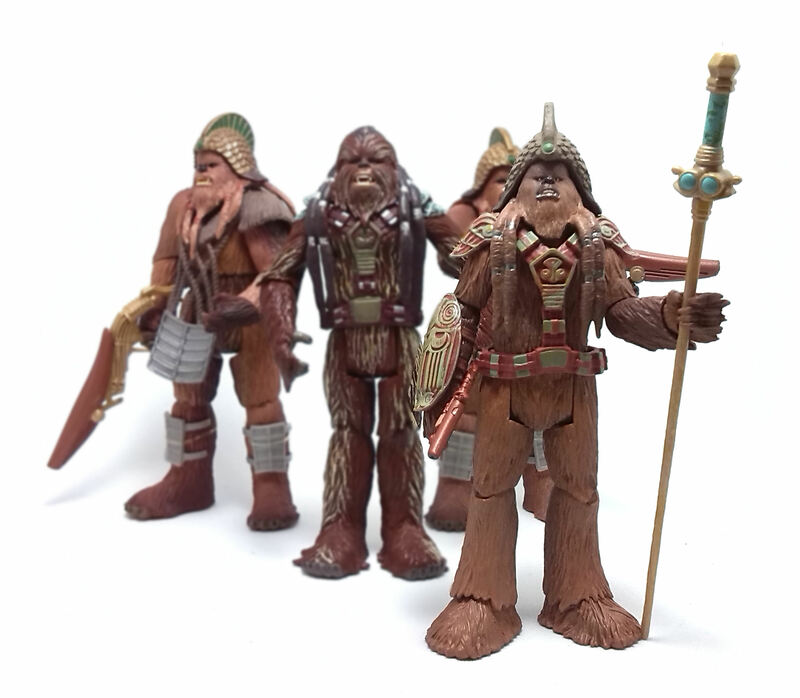 Ever since I saw Revenge of the Sith, the notion of a horde of wookiees charging into battle has held a certain appeal to me. 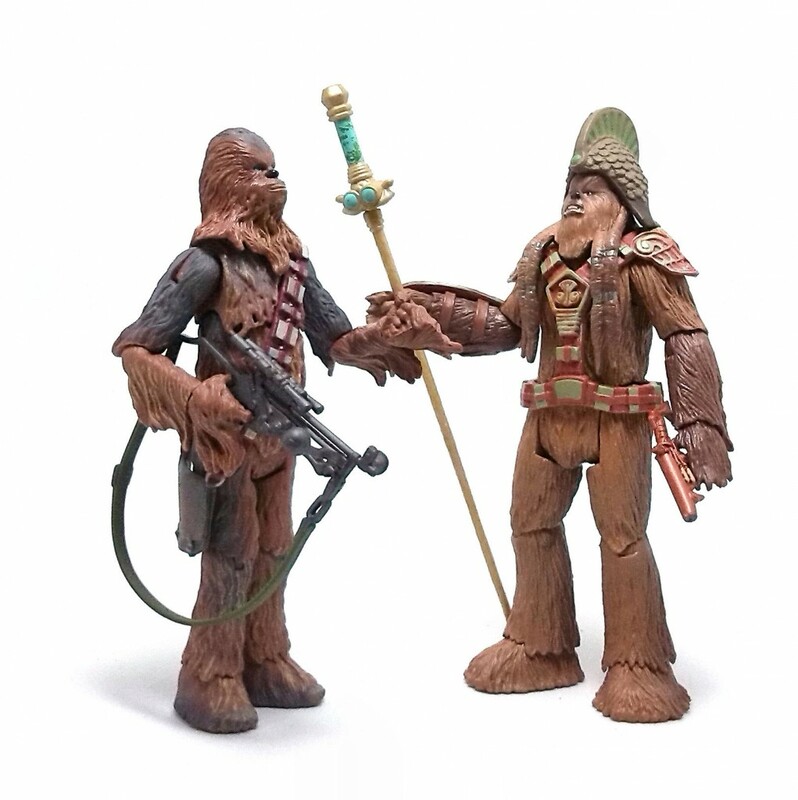 In the year following the premiere of the movie, we did get quite a few of these fearsome warriors made as action figures by Hasbro, but then they stopped making any more wookiees in the realistic style. 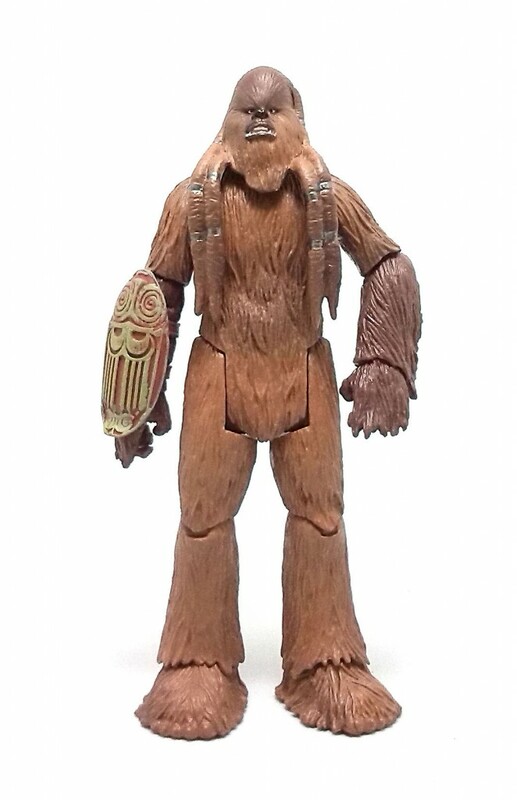 However, for the 4-inch scale Star Wars Black Series line we got Merumeru, one of the wookiee chieftains from the Battle of Kashyyyk, and even though it didn’t quite turn out as I expected, the figure is not without merit. 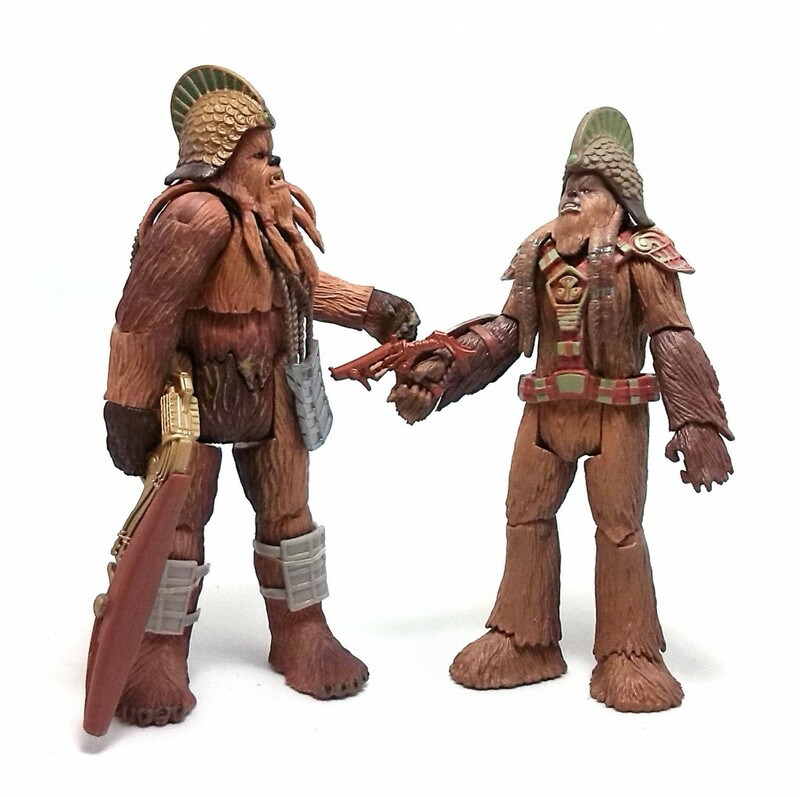 The one thing that I did not expect right out of the package is that Merumeru is noticeably smaller than the Wookiee Warriors released as preview figures from the Revenge of the Sith line. I sort of expected Merumeru to be more of a retool of those molds, but it turns out he is a completely new sculpt. For a start, Merumeru has a pretty neutral face sculpt, which is rare for a species that almost always is depicted baring teeth. 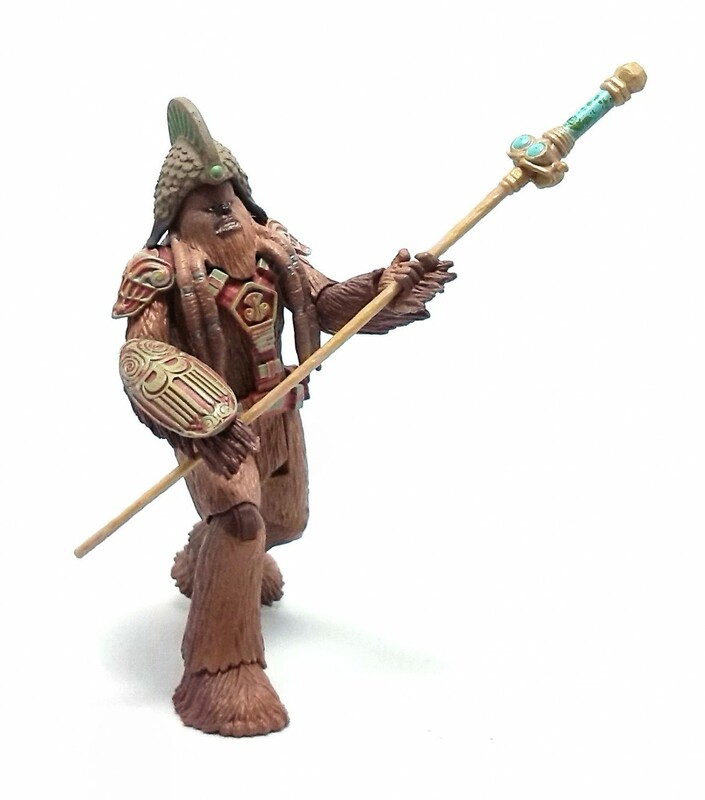 The base body in Merumeru is sculpted to represent a fairly generic wookiee, covered in fur and with a set of long dreadlocks hanging from the head piece over his torso and back. 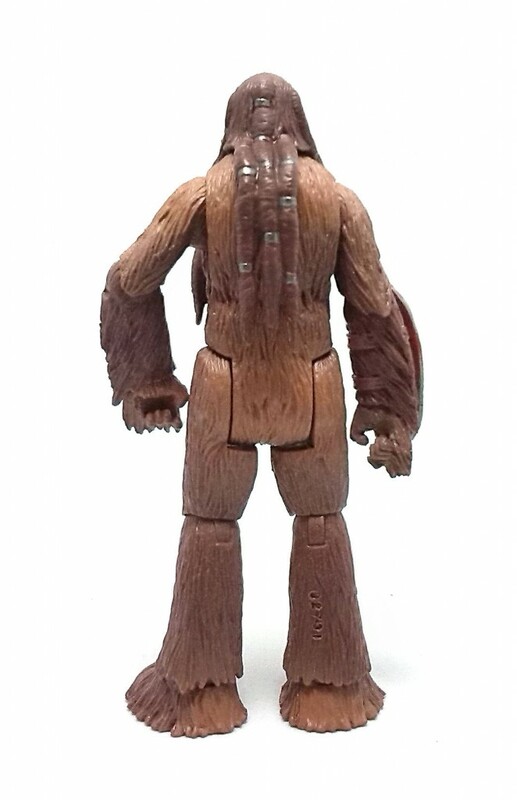 The right forearm has an oval shield sculpted on, decorated with wookiee carvings, but other than that, this could be as plainclothes as wookiees go. As usual, the bulk of the limbs do limit somewhat the range of movement in some poses, but the overall scheme works fairly well. Even though the figure is not quite as heavy as I expected, the wide feet provide very good stability. The paintjob on Merumeru is exceedingly simple and well applied, with neatly painted facial features and very subtle color gradients on the body. Merumeru comes attired with a combat harness and a very ornate helmet. These removable accessories are nicely detailed and painted, although the color palette on the helmet is rather dull. 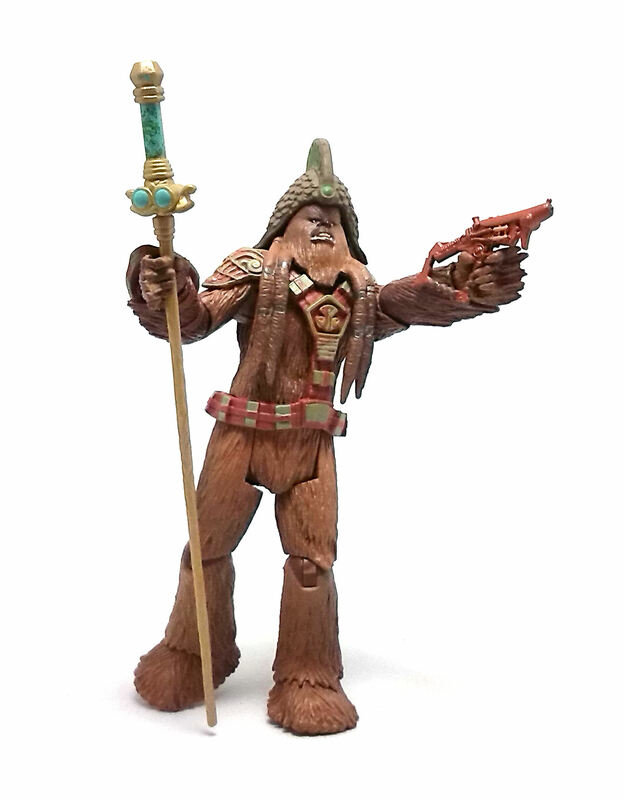 The other accessories included are weapons, a wookiee-made blaster pistol and a two-part staff/scepter. 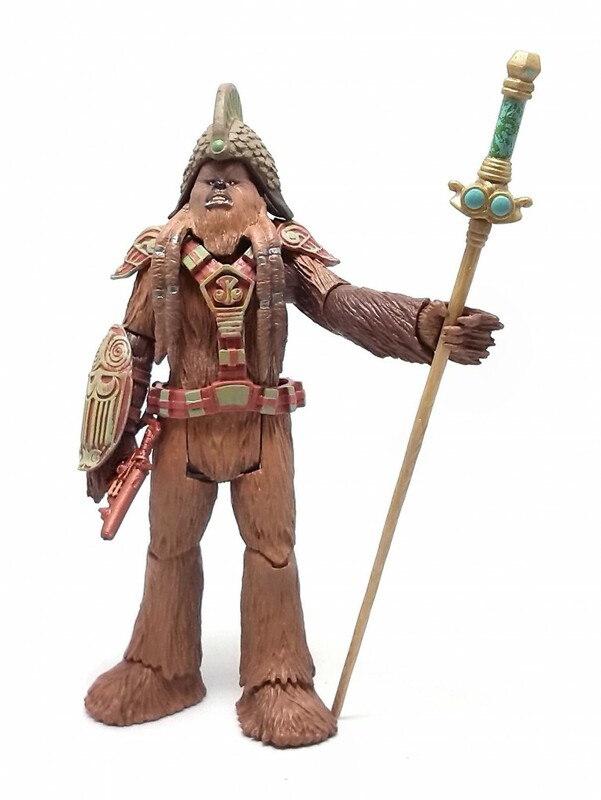 In the end, I was quite satisfied with this Merumeru figure, for even though he looks like a runt within his troop, he scales pretty decently with most other wookiee figures in my collection, so the logical conclusion must be that the other guys are the ones that are big even for wookiee standards.